The architecture is beautiful, as are the narrow, winding streets lined with mature trees. In the distance, beyond the river, you can see the forested hills and Jacques Cartier National Park where I've been rafting and kayaking. The Chateau-Frontenac stands stoically at the precipice of the cliff down to the Basse-Ville. ...I could go on and on. Montreal has a lot of positives but as someone who is always trying to improve her French skills, it is not the place to be. One look is all a salesperson needs to decide if you are French or English and there's usually no going back, no matter how much you persevere and try to respond in French. 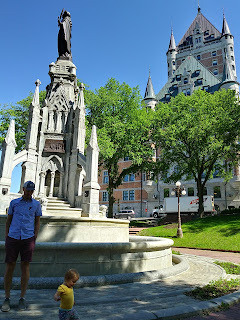 Our first morning in Quebec City demonstrated exactly what I like about the people here. Our waitress started with French, switched to English when she heard us talking to each other in English, then switched back to French when we continued with it, aiding us with hand gestures, repetitions, or clarifying words if needed. The accent is rounder and lovely, and the pace is relaxing. Of course you're going to get amazing French cuisine in Quebec. 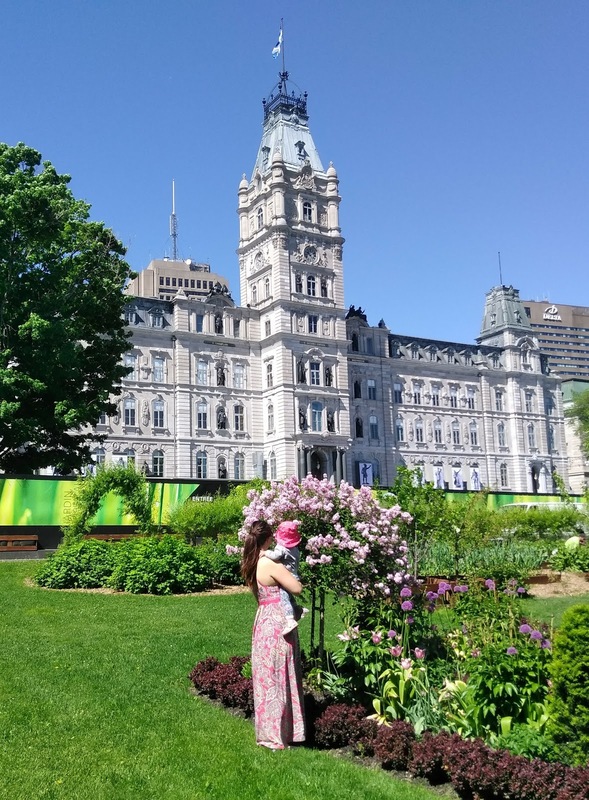 But what I love about Quebec City is that it's a blend of cosmopolitan and farm. You can find fresh moose burgers or foraged mushrooms on the menu, along with the delicious staples of crepes and cheese. Like Calgary, it's so accessible. Quebec city is pedestrian-friendly and small to get around. The main bus terminal and train station are centrally located meaning you could do your whole visit on foot if you like. 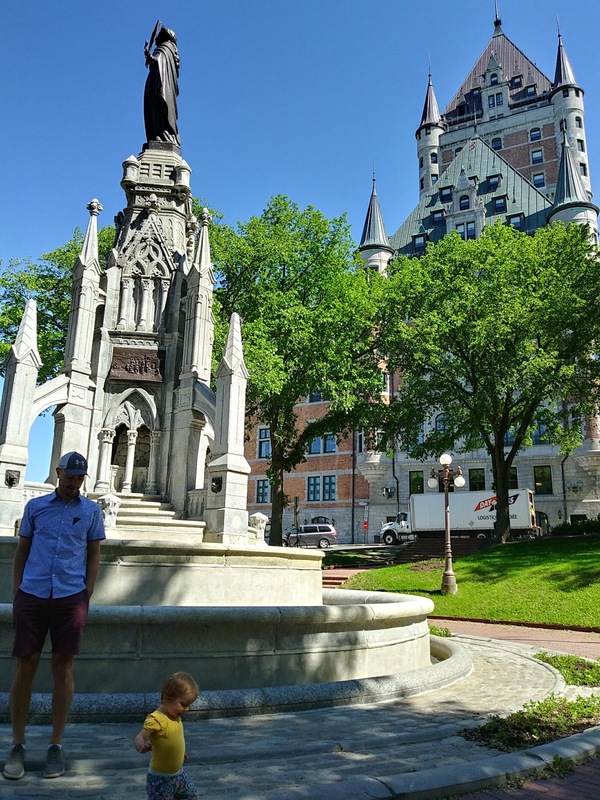 I was so excited to share my favourite city with Craig and Baby. I knew it would mean seeing it from a different perspective and experiencing it in a different way. And it did not disappoint!